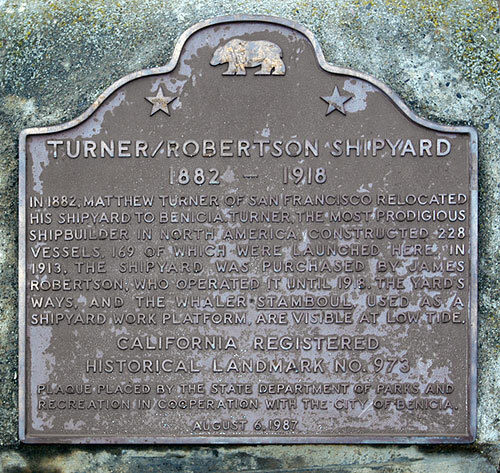 In 1882, Matthew Turner of San Francisco relocated his shipyard to Benicia. Turner, the most prodigious shipbuilder in North America, constructed 228 vessels, 169 of which were launched here. In 1913, the shipyard was purchased by James Robertson, who operated it until 1918. The yard's ways, and the Whaler Stamboul, used as a shipyard work platform, are visible at low tide. 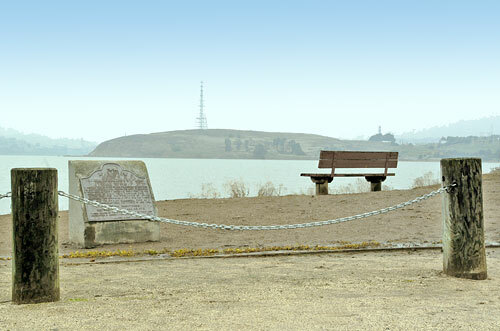 Plaque placed by the State Department of Parks and Recreation in cooperation with the city of Benicia.